When counting the dollars and cents in Huntsville/Madison County, the Redstone Arsenal story is a crucial part of the equation. 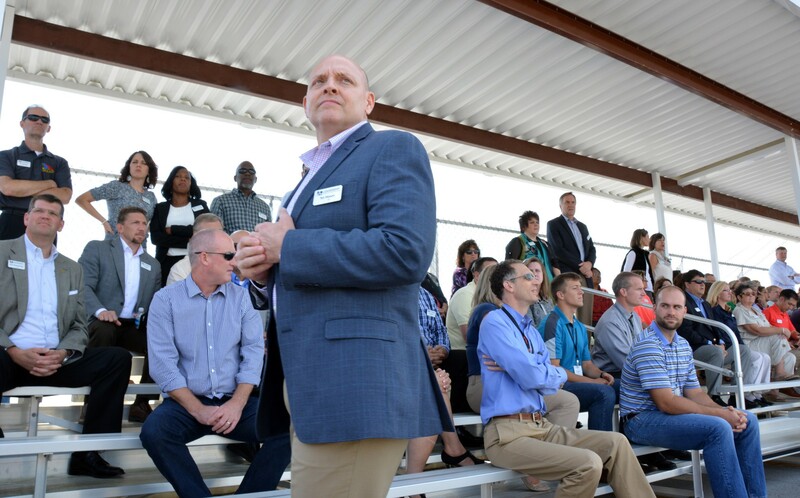 Leadership Huntsville/Madison County class members paid a visit to Redstone Arsenal Sept. 17 to hear that story as part of their Economic Base Day, which gave participants a deeper understanding of the economic drivers in the Tennessee Valley. 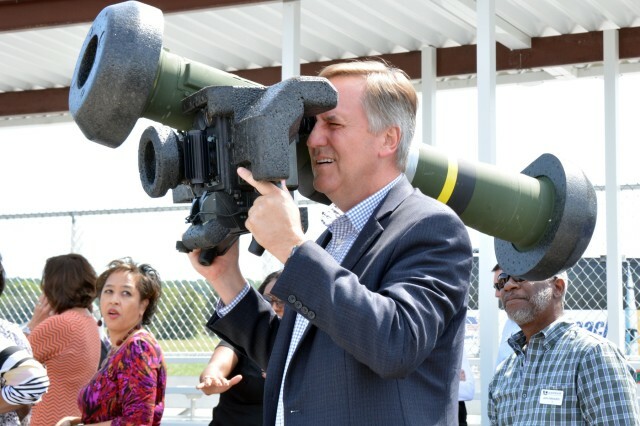 The group's visit on post included an economic overview of Team Redstone, bus tour of Redstone Gateway and the Arsenal itself, and a missile firing at Redstone Test Center. "This community has a huge impact on the region and state," said Garrison commander Col. Bill Marks. "The estimated total number of jobs either directly or indirectly related to Redstone is near 104,000 across the entire Tennessee Valley. That has an impact, and it means we have a lot of potential to keep bettering this community when we work together." 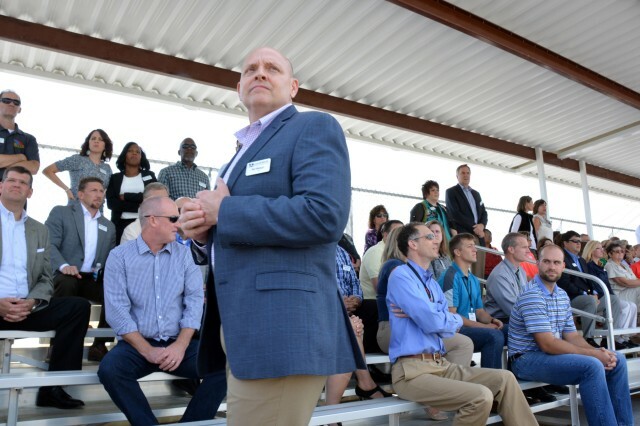 Redstone Test Center commander Col. Pat Mason traded his uniform for business attire as he joined his fellow Leadership Huntsville/Madison County classmates for the excursion. While Mason knows all about Redstone Arsenal, having assumed command of RTC in July 2013, the day was an opportunity to share with his fellow classmates what he does on a daily basis, and how that impacts the community. RTC makes up approximately 1,100 of the Arsenal's some 37,000 employees. Even though Mason is a Randolph School alum and his in-laws have roots in the community, participating in Leadership Huntsville/Madison County expanded his view of the community. The program is designed to "emphasize learning through experience and provides in-depth knowledge" to give participants "the tools and a network to better serve the community," according to Leadership Huntsville/Madison County. "You tend to get focused on the federal government side, this gives you an opportunity to learn about healthcare, the education system and challenges within the education system, and about the growth of arts and entertainment, and how they're trying to create an environment that attracts more people," Mason said. Mason chose to participate in the 10-month program after learning of the valuable experience retired Maj. Gen. Lynn Collyar, former AMCOM commander, gained through his participation. Four individuals, including Mason, with Redstone Arsenal connections are part of this year's class. 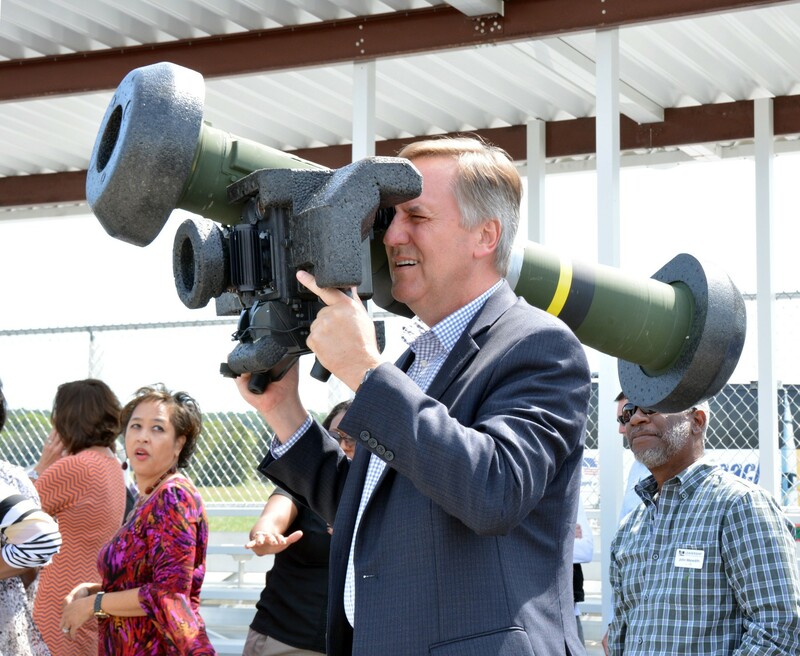 "As the Garrison commander said, what's good for Redstone is good for the community, and what's good for the community is good for Redstone," Mason said. "As someone who makes a lot of noise and does a lot of things here on the Arsenal, it's incredibly important for us to get out into the community and make sure the Redstone message and Redstone story is known, but also to really understand what's going on in our community. It is a partnership." Marks encouraged the group of community leaders to continue those partnerships. "This community accomplishes amazing things when it binds together and works as a team," Marks said. "It's that ability to speak with one voice that makes the Tennessee Valley so attractive in terms of growth opportunities." Marks also spoke on the possibility of future BRACs -- base realignment and closures -- and what the community needs to do to make sure it is ready if and when that time comes. 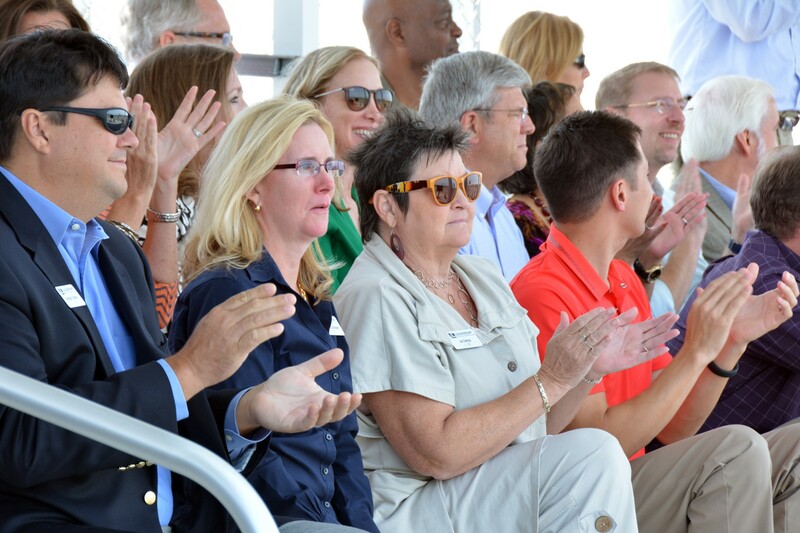 "What the Tennessee Valley does great is we aren't waiting until a BRAC is announced to get ourselves ready, instead the community is constantly looking for ways to stay competitive," Marks said. "That means making ourselves the best in terms of our school systems, transportation infrastructure, economic diversity and providing those cultural amenities for employees when they are off the clock."